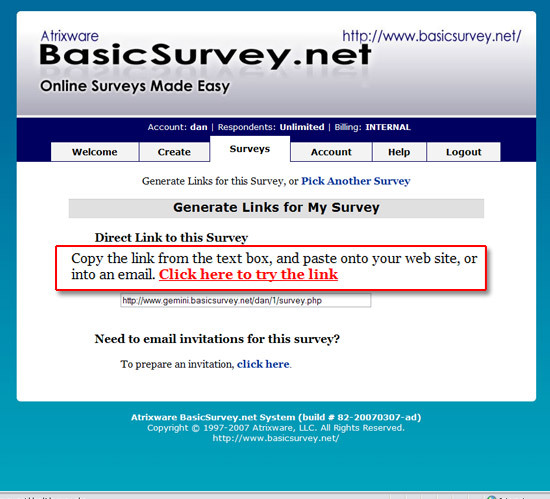 In this article, I will be discussing how to create a survey in Basic Survey. 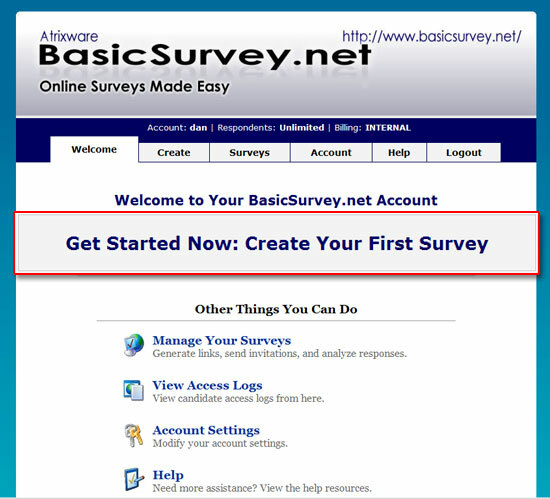 Start by logging into your BasicSurvey account and click Get Started Now: Create Your First Survey. Creating a survey is broken down into 5 steps listed below. Begin by clicking Create Questions or Add Questions on the left. Select the answer set you would like to use then enter your question. 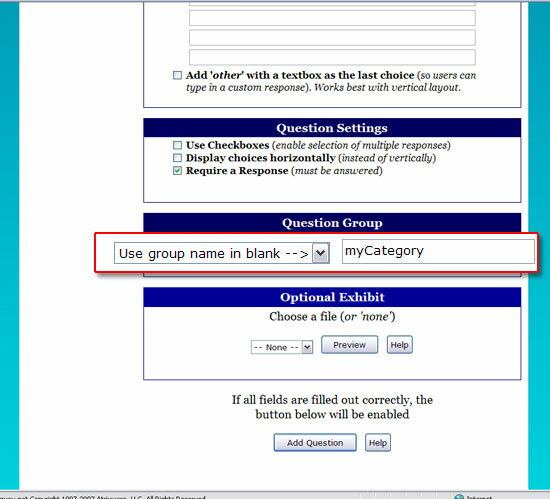 Give the question a category (or select from a list of categories) and click Add Question. Repeat this process until you are satisfied with your question list. Click Look & Feel on the left and select the appropriate choices. For this example, I will leave the default settings as is and click Submit Changes. 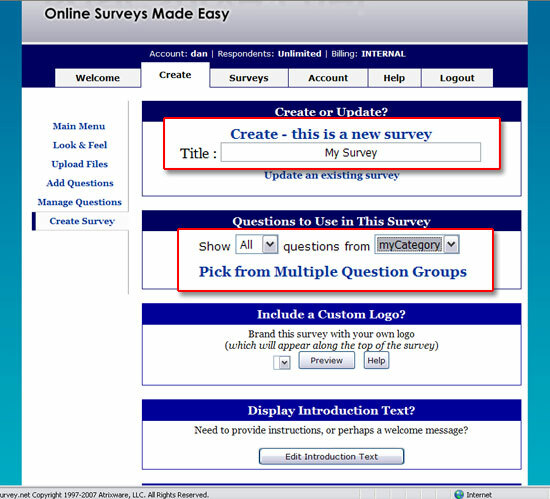 Select Create Survey on the left and click the Create Survey link. Click Create – this is a new survey and enter a name. 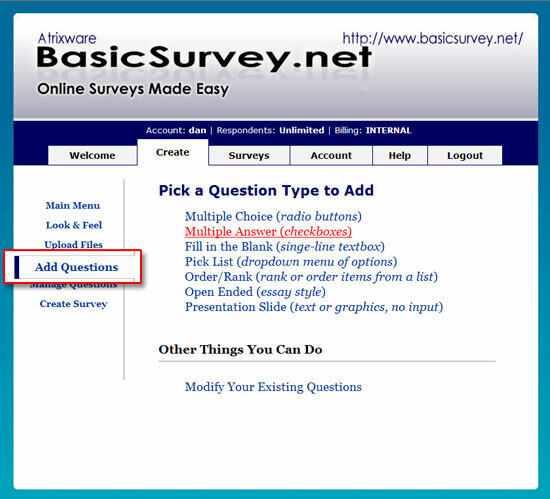 Select the number of questions from each category and click Publish Survey. Click the Survey tab and you will see a list of your published surveys. Click the Links and click the “Click here to try the link” to take your survey. 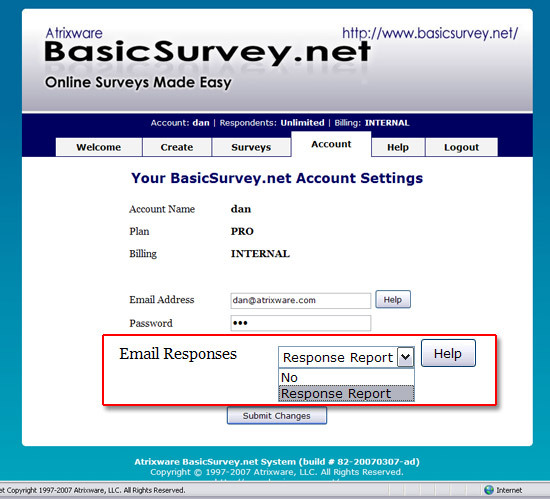 Click the Account tab and select Response Report from the Email Responses drop down box. This entry was posted on Friday, May 23rd, 2008 at 1:58 pm	and is filed under Atrixware 101, Basic Survey, Dan. Both comments and pings are currently closed.